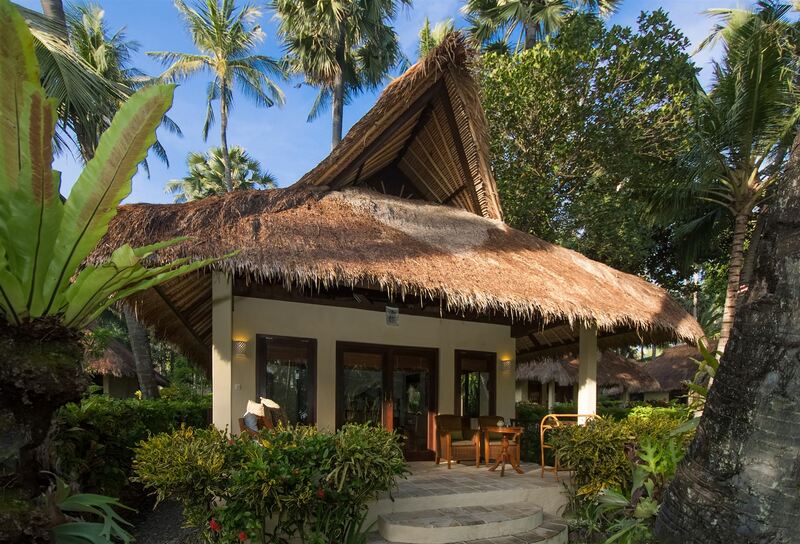 In Alam Anda there are 9 Seaview-Bungalows, 12 Deluxe-Garden-Bungalows, 2 Losmen Rooms, the Villa Ambu Ambu, the 2 Bahari Villas and the villa Lumba Lumba and Purnama. The rooms are furnished with teakwood in typical Balinese style. 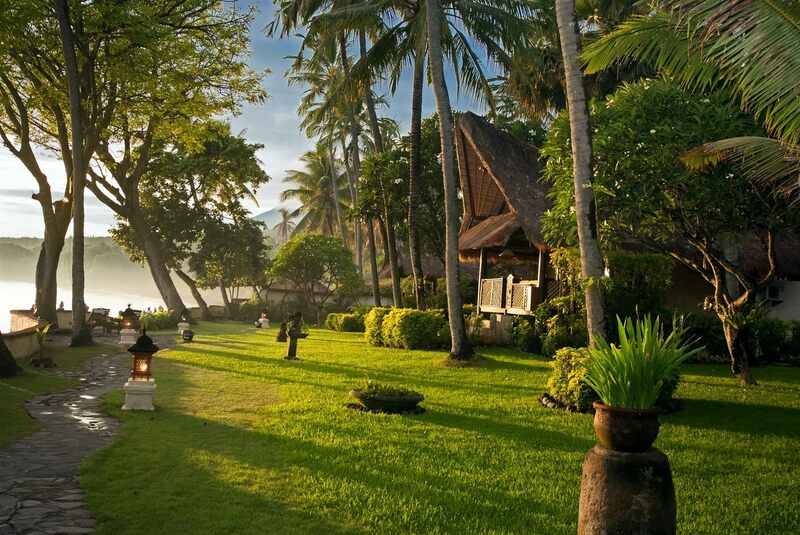 Built from palm wood, mahogany and bamboo and are thatched with traditional Alang Alang grass. 12 Garden Deluxe Bungalows – are spaciously imbedded into a more than 5.000 m² tropical garden with shady trees, fountains and statues. Several “bale” (roofed relaxation areas) are set up in between coconut, palm and mango trees and turn the garden into a real wellness area. 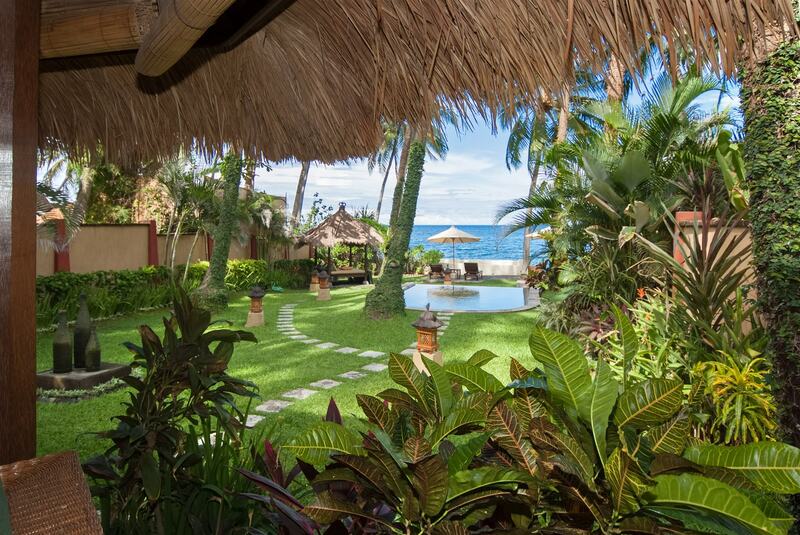 The Villa Ambu Ambu – Directly is situated by the sea, 20 meter away from the water’s edge in a private palm garden. The Areal is about 900m² and the living area approx. 65m² with two bedrooms for four persons. 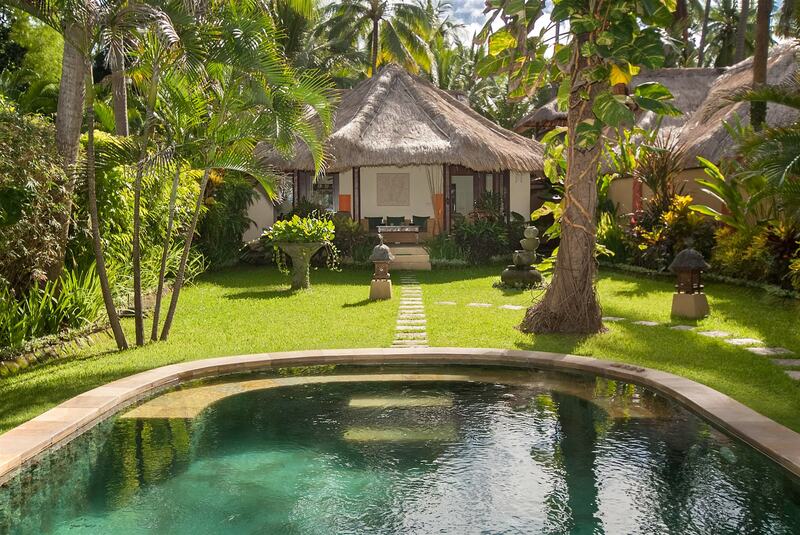 The 2 Villas Bahari 1 + 2 are located at the west area of Alam Anda. With a private garden, this can truly be called one of the top locations of the Resort. They are closely located to the seafront with direct access to the sea. 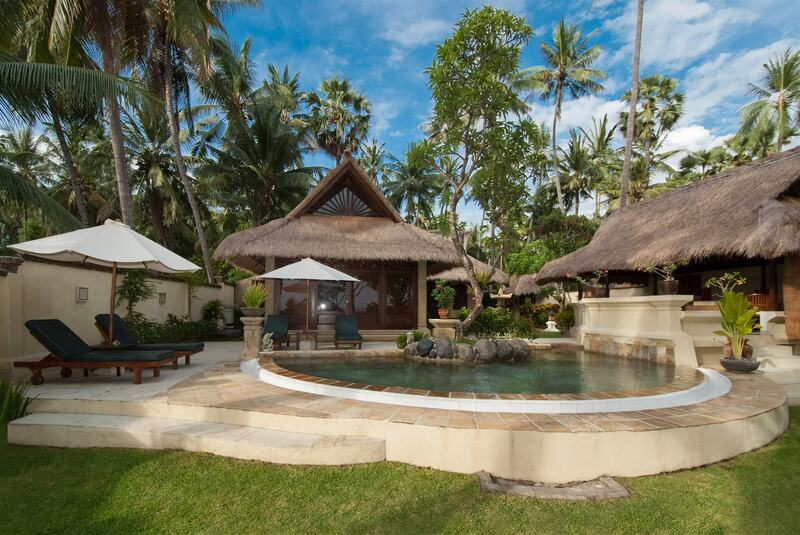 The Villa Lumba Lumba, that is “Luxury made by Alam Anda” – and not just for honeymooners. 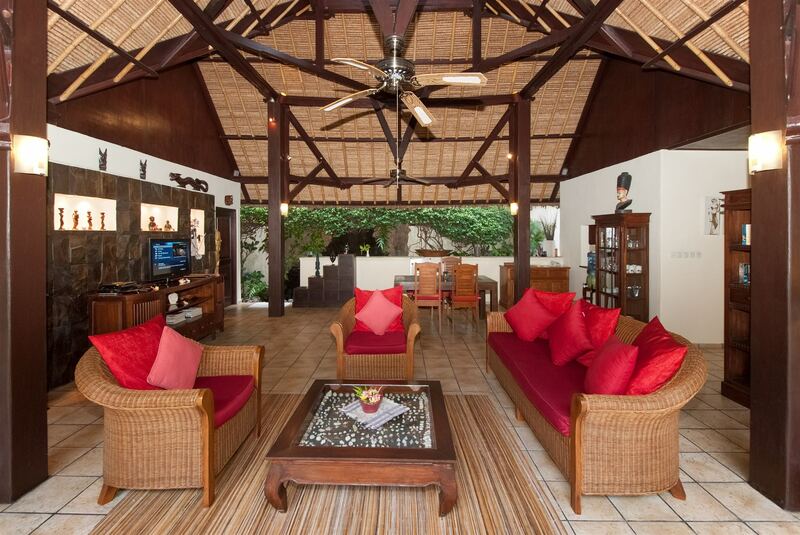 The detached “Honeymoon”-Villa, is situated on its own premises at the east end of the ALAM ANDA ground. 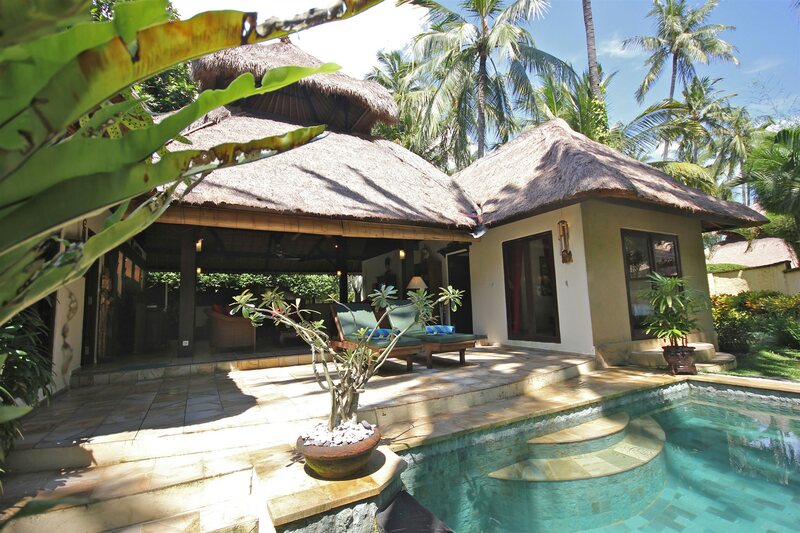 The Villa Purnama truly deserves its’ name. Purnama means “full moon”, this might be unusual, but exactly what we were hoping to achieve when designing this villa.